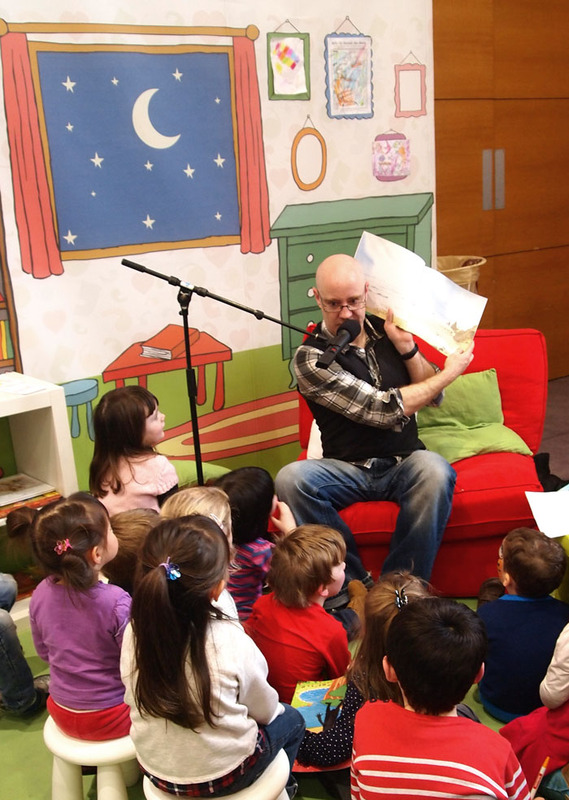 Reuben from RTEjr reading to lots of lovely little people in our reading area over the festival weekend. Well I think it’s pretty obvious that we love books here in Babytalk. We created a series of graphics last year using our favourite quotes from Children’s books and we had a dedicated reading area at the festival to promote the habit of snuggling up to read a bedtime story from a very early age. Reading with my little girl is truly my favourite part of the day, it’s something we have been doing since day one, we even read to my bump! It’s a simple an inexpensive activity that has huge benefits for both little folk and big folk alike. Chris Haughton who has illustrated and written, A Bit Lost, Oh No George and his new book that is being released today – Shh! we have a plan. 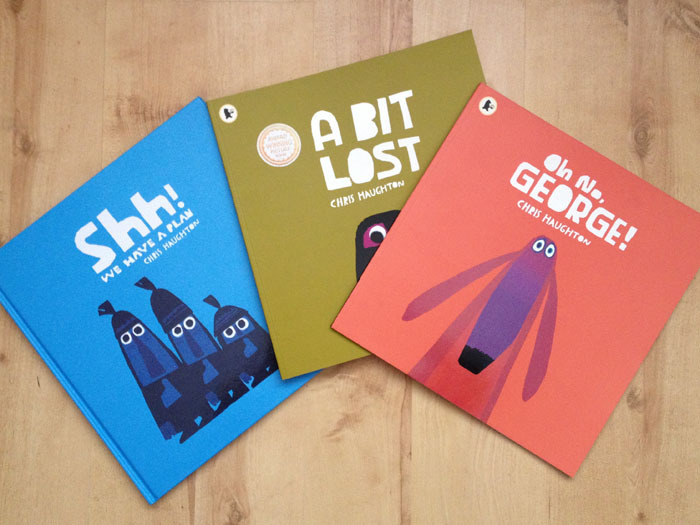 We are delighted to have a signed copy of Oh No George and a copy of A Bit Lost and Shh! we have a plan to give away as our first prize in today’s competition! 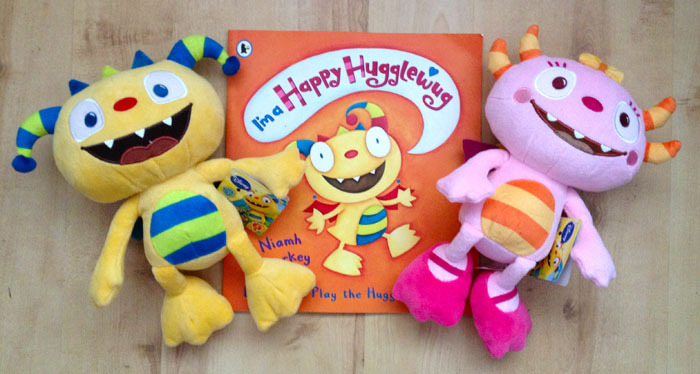 We also love Niamh Sharkey, she has written and illustrated lots of fab children’s picture books, we are very lucky to have copy of I’m a Happy Hugglewug to give away with two gorgeous soft toys from the Disney version of her book – Henry Hugglemonster, with huge thanks to Golden Bear Toys! You may have admired our gorgeous illustrated backdrop in the reading area over the festival, this was done by another of our favourite Illustrators – Chris Judge. 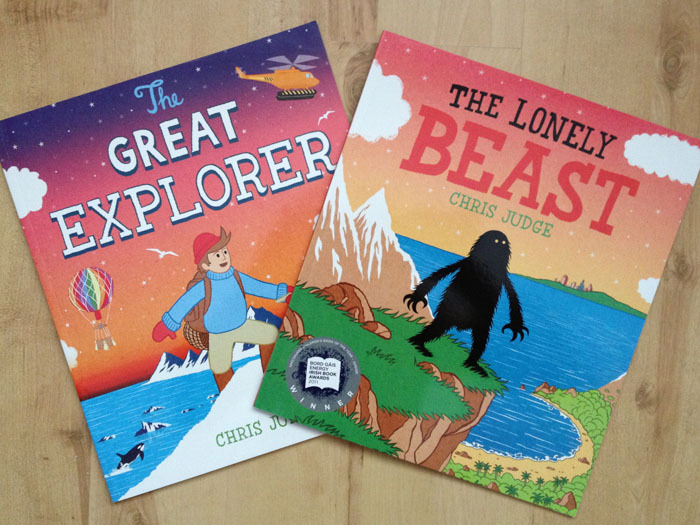 Chris has very kindly given us a copy of The Lonely Beast and The Great Explorer as our final prize in celebration of World Book Day. To enter our amazing competition simply like and comment on this post here or on our Facebook post with the name of your favourite children’s book. Winners will be announced next Friday. Congratulations ladies, please email us at register@babytalkfestival.ie with your phone number and postal address to claim your prizes!